Carrera glasses are classics in the world of sports eyewear. 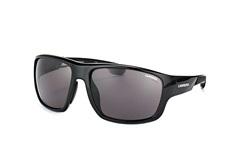 Since 1956 Carrera have been combining innovative designs with specific sporting requirements. Love and passion for their products make Carrera an extraordinary brand, and bring them success time and again. Creative ideas for new production techniques, materials and designs ensure that Carrera sports eyewear is always geared to your requirements. For this reason you rely on Carrera sports eyewear for your specific and all-round sports needs. 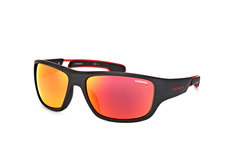 The slender designs of Carrera sports eyewear are ergonomically created for the perfect fit. Their sports eyewear fit comfortably to your head shape, and thanks to their broad lenses they offer you a complete field of vision. 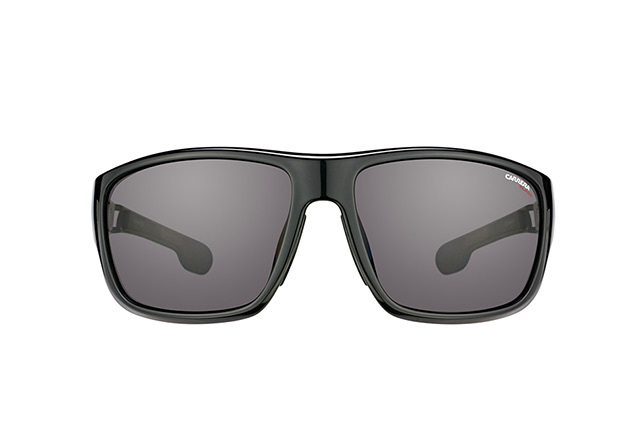 The Carrera Model Swell 9EF (6E) in black is a highlight in the current Mister Spex sports eyewear range. The slightly larger lens, combined with the high-positioned temple and slender frame, make these a classic and eye-catching sports eyewear model. No matter which Carrera glasses you choose, Mister Spex processes all orders as quickly as possible and delivers all over Europe. 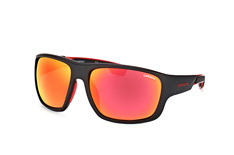 If you are unhappy with your Carrera sports eyewear, please return it within 30 days for a refund or replacement. Detailed information about delivery, exchanges and our 30 Day Money Back Guarantee can be found in thehelp area of our website.